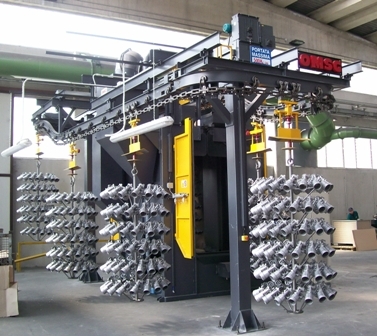 OMSG was established in 1961 and, since then, has proved itself to be a worldwide leader in the design and manufacture of shot blast and shot-peening machines. OMSG occupies a site for overall 41,000 square metres, with the two historical plants of Villa Cortese and Dairago, to which two branch companies in Germany and France were added to improve the presence in Europe. 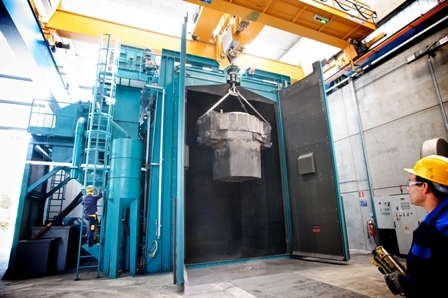 OMSG was the first Italian shot blasting Company (and among the firsts in the world) to achieve the certification ISO 9001:2000 and, by always pursuing the state of the art of technology and safety, all its products fulfil CE marking. OMSG is today a truly reliable partner with its skilled engineering department, a reference list of several international prestigious clients, over 5,000 supplied machines into 85 Countries and a global aftersales networks, to quickly and effectively meet the highest Customer’s expectations. continuous flow machines of ROTOFLOW family, for small parts where surface aesthetics is a must.